We must have thought at least once in our life that we should start a restaurant. It looks fun, and the market virtually has no barriers. As a budding restaurateur, you must have asked this question many times, “How to start a restaurant?” Rest assured, here we have for you all you need to know about starting a restaurant in America. 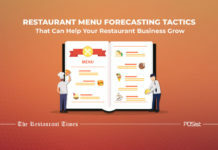 This comprehensive guidebook will tell you regarding each necessary step and how you should do it for a successful first restaurant venture. As we said before, a lot of people want to enter the restaurant industry but can not as they don’t know where to start. That being said, competition is abundant already so you can not start a restaurant any which way you like. 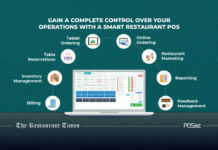 Apart from legal procedures, there are processes and steps that you must follow when you start a restaurant to ensure its longevity and smooth operations. 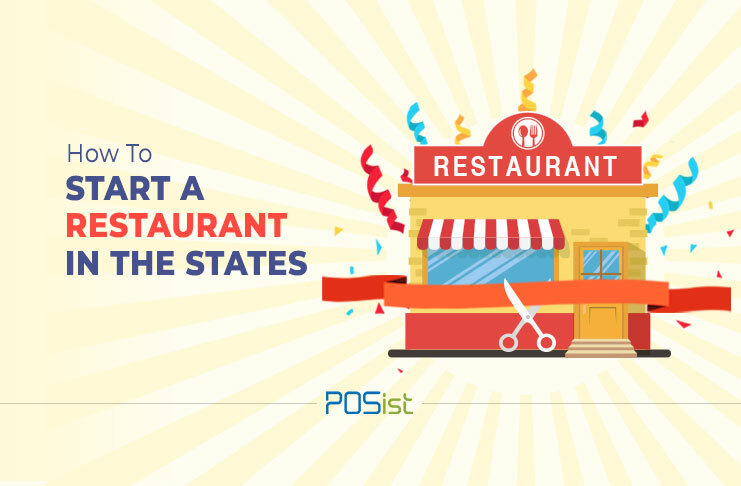 Here is all that you need to do to start a restaurant in The United States. The first thing that you must do before you start a restaurant is to decide the concept, format, name, theme and the idea behind the restaurant. Is it going to be a QSR, a casual-dining restaurant or a fine-dining restaurant? Who is your target audience? Why have you chosen a particular format and a specific target audience? What will be the concept of your restaurant? Will there be a theme? If yes what and if no why not? What will be the idea behind your restaurant, what will be the name of your restaurant and what does that name reflect? The ‘Format’ of your restaurant. Is it going to be a QSR, a casual-dine or a fine-dine? 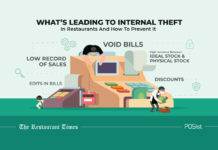 The concept behind your restaurant and its reason. The theme of your restaurant. Once you know what type of restaurant you want to open, the next is where to open this restaurant. You need to find the correct location to start a restaurant. This decision is mostly dependent on the format you choose and the funds you have. Only some formats work in some areas. This is so because the type of crowd frequenting those locations keeps changing. To put it in perspective, there is hardly any chance that an expensive fine-dine restaurant would be successful near a university campus. On the other hand, cheap beer and chicken wings will not be pulling any crowd in Beverly Hills. As your target audience and format shifts, so does your ideal location. To pick the perfect location for your restaurant, you need to consider three major and some minor factors. We suggest, you make a list of viable places based on all three major factors and decide from this list based on the minor factors. While proximity to vendors and safety of the location are not significant factors for you to decide your location, they are still critical and must be your priority to look at when you are selecting from among the filtered potential locations. 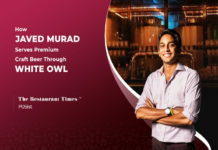 Overhead Rate: This form of cost accounting helps you understand how much it costs to run your restaurant on the basis of only your fixed cost on an hour to hour basis. Here is how to calculate your overhead rate. Prime Cost: The prime cost of a restaurant is the sum of its labor costs and COGS. This makes up 60% of the restaurant’s total sales and represents a bulk of the restaurant’s controllable expenses. 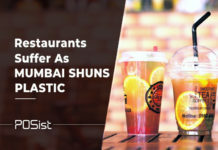 This is also the cost that the restaurant owner can optimize to increase profits. 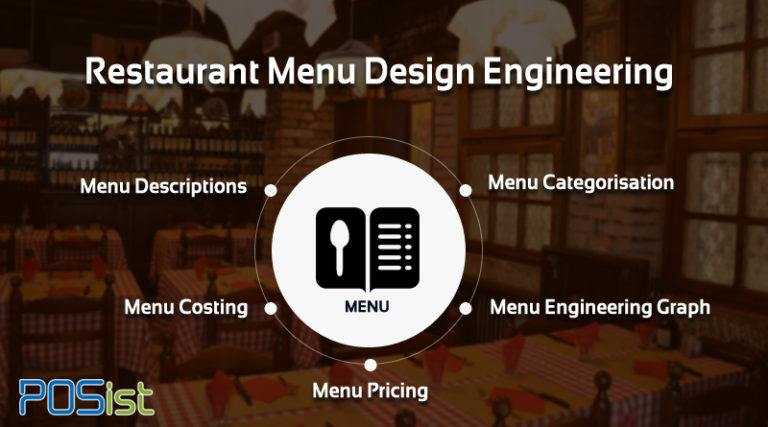 Once you know the format, concept, and margins, the next step is to create your menu. Involve your head chef and make a tentative menu. At this stage, the menu will be a list of items that will be available at your restaurant and a tentative price for the same. To create your menu, look at what your competition is serving, why it is serving those dishes and the price at which they are being served. Try to keep the menu short in the beginning. A great way to design the menu at this stage is to try and keep the base ingredients common so that you can save on the cost of raw materials. The menu while short and practical must also include items that are your own and represent your restaurant. An ideal menu will generally have something for all. Try to keep a mix of dishes which are basic and will be ordered by any, which are popular among your competitors and then dishes which will be unique to your restaurant and its concept. Once you know your menu and have a choice of location, the next is to finalize your vendor. 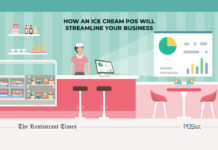 It will be better if your vendor is close to your restaurant, but that must not be the only factor to look at. Choosing a vendor is like choosing a business partner. Ensure that the vendor is reliable and will not leave you hanging in a crunch. Compare the vendor prices with at least two to three other suppliers but do not choose your vendor solely based on the price as well. Some important factors to consider, include the credibility of the vendor, the rapport you build or can build with him/her, the track record and reputation in the industry and most importantly how well will your terms and requirements will be looked after. Pro tip, it is always better to be the big client of a small vendor than an insignificant client of a huge vendor. This article will guide you on how to go about choosing your restaurant vendor. The next step to start a restaurant is to create a business plan. A business plan is not just a document but a roadmap for you to follow. It pens down all that your restaurant stands for, where you mean to take it and how you plan to achieve it. Furthermore, it is necessary if you wish to get funding from any external source even if you prepare a separate business proposal for investors. It is so because even the business proposal will be based on the business plan which will contain all your basic and necessary information. A mission statement: What your restaurant is about and what your mission is. 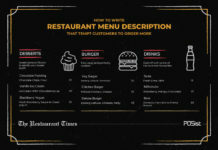 Executive Summary: A summary of your restaurant concept, why you chose the concept and where you want to take it. 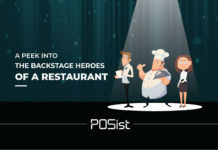 Names of all the stakeholders: The names and other details of the restaurant owner, head chef, partners and core team members. Financials: Details of all the costs, estimated profits, the estimated time to reach break-even and funds required. 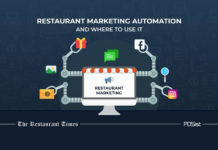 Marketing Strategy: How do you plan to market the restaurant and why this specific strategy. Hiring Strategy: Who you plan to hire, why and when. Conclusion: A quick recap of your entire business plan. Once you have your business plan in place, you will also know the total amount of funds you need to acquire. Apart from the money you invest, you can raise capital from various sources. These include bringing in partners, investors or sponsors, borrowing money from banks or friends and family, or raising capital through activities such as crowdfunding. Whatever route you pick, weigh all the pros and cons and get the terms of the process of acquiring these funds in writing. The most daunting part of the process of starting a restaurant is getting all the licenses required. In the USA, the licenses change according to the state which makes this process extremely confusing. Here is a list of the most important licenses that you will need to start a restaurant. The first license that you would need to open and operate a restaurant in The United States is a business license. 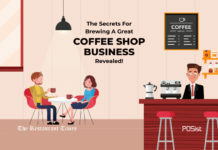 A business license is required not just to operate a restaurant business, but any business in America as it legitimizes new businesses as legal entities. How To Get It: Google your state and business license. Then follow the application procedures as laid out by the state governments site. You need a liquor license only if you plan to open a bar or sell liquor at your restaurant. In certain states, you may be required to apply for a beer and wine license along with a liquor license. The license is issued by the liquor control board, and so the process can be long and time taking. It will be better to apply for it as early as possible. The Food Service License is essential if wish to start a restaurant. This license is usually issued by the city or county health department after an in-person visit. 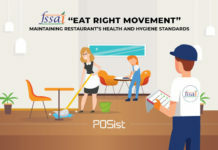 The in-person visit is to ensure that you are following all restaurant food safety regulations. Even after issuing the license, the health department will continue to make regular visits. How To Get It: The application can be obtained from your local health department either online or in-person. To obtain the license, you will need the name of your restaurant, an address for a permanent kitchen and the owner’s personal information. Food service license expires automatically in some locations so take due notice of when you need to renew the license. Cost: Depending on the location and the number of employees, it can range from $100 to $1000. Just like a Business License, An Employer Identification Number must be obtained by all businesses to operate in the USA. This is simply a tax ID number and is assigned by IRS. You need to sit on this one for a while as IRS only issues one EIN in a day. How To Get It: You can apply through the IRS website or by fax, phone, or mail. Often referred to as ‘Employee Health Permit’ it ensures that your staff has completed a food safety certification. Your employees will have to complete a state-approved food handler course and obtain a food handler permit. The FDA even has specific training resources for employee health and foot protection. Cost: Depends on the state but usually varies between $100 to $500. Issued by the city government, you will need a sign permit to put up any outdoor signs for your restaurant. The specifications regarding size, location and lighting vary from city to city. How To Get It: You will need to get the approval of your local government for this. Cost: Usually varies between $20 to $50. After your location passes the final building inspection, the building or zoning department in the city will issue the certificate. Certificate Of Occupancy is required to certify that the building has been properly built and maintained. How To Get It: The process depends upon the building’s structure and varies from jurisdiction to jurisdiction. You will need to follow the steps on your local government’s website for this. If you plan to start a restaurant that would be playing music, you would need a Music License to avoid copyright infringement because of the music. This includes live music, music from CDs and even music from streaming service. The fines for playing copyrighted music without the license can range from $750 to $30,000. How To Get It: You can pay either the Broadcast Music Inc. (BMI) or The American Society of Composers, Authors and Publishers (ASCAP) or get a licensed music solution to pay these fees on your behalf. Whether the music is live or recorded. Whether the music is audio or audio-visual. The number of nights the music is offered. If the admission is charged or free. For background music, the cost can vary between $250 to $500. A Resale Permit will allow your restaurant to make some non-taxable purchases if the items purchased are for use in the manufacture of products that are to be resold as the business offering. In simpler terms, the permit will allow you to make non-taxable purchases of your raw materials that are to go into the process of creating your dishes. The license prevents the double collection of sales tax. Instead of collecting tax on the product when you buy it, the sales tax is collected on the same product when your customers buy it. How To Get It: Most states have the option to apply for the permit online and in-person. Search for resale numbers in your state to find the specific office to submit your application. Cost: Anywhere between $0 to $50. 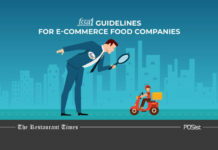 Here is a list of all 50 state food service codes and regulations from The U.S Food And Drug Administration to make your license hunt easier. Once you have all your licenses in place, the next step to start a restaurant is hiring your staff. The staff you employ is an extension of your brand image, and so you must be very sure of the people you hire. Your staff requirements will change based on your format and size. You will need a manager, a chef and kitchen staff. 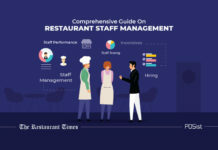 Depending on whether you are a QSR, a self-service restaurant or a regular restaurant, you will need to hire wait staff as well. To understand how to employ the said staff, here is an article on Staff Hiring Practices that will be useful. Finally, the last step to start a restaurant is to prepare for its launch. It is better to have a soft launch first so that you can get the hang of operations and tweak yourself according to the customer review you get before going for the hard launch. The hard launch of your restaurant will involve throwing a grand opening, calling the media, getting some local celebrity involved and inviting food bloggers and other relevant people in the industry. Such an event can be extremely tricky to master as a newbie and hence soft launches of some months are always better than a straight out hard launch. 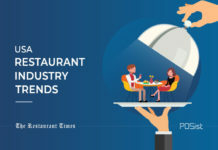 The restaurant industry is a lucrative business with a lot of scope. 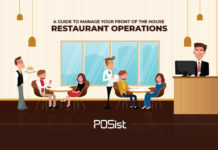 If it is your dream to start a restaurant, we hope this guide took you one step closer to realizing it. How do I start my restaurant business in the USA if I am low on funds?